AVG PC Tuneup scans your PC for problems that slow down your computer. Furthermore, it identifies privacy traces of your browsing activity, and fixes the problems and cleans privacy traces. 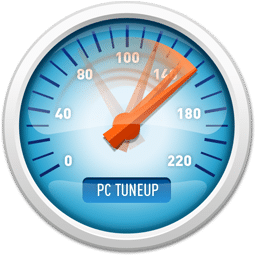 This AVG software stops freezing and crashing your PC, the automatic optimization and maintenance for your PC keeps your PC at peak performance. It continually works in the background to help your PC always run at top speed. Also AVG PC Tuneup can extend your battery life and free up valuable disk space. Automatic Start-Stop Mode. Allows any programs that you have deactivated with Program Deactivator to be reactivated in a single click. Program Ratings. Automatically identifies which resource intensive programs are worthwhile and which are not using a simple star rating system. Unfortunately, what was simple in the old TuneUp Utilities has become exaggerated now. This AVG software (bought the TuneUp Utilities company) was very complicated and tedious. I do not advise you to use it. What the hell this is just Auslogic Boostspeed in a AVG jacket :).